"Boy, do I have a lot to learn!" One of the reasons I like teaching is purely selfish: oftentimes, I learn more from my students than they seem to learn from me. 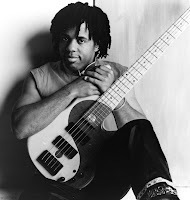 And so, one of my students was recently talking about a book by the great electric bassist Victor Wooten entitled The Music Lesson. I made a mental note to look for this book. Well, as luck would have it, I wandered into Tom Lee Music in Vancouver this past weekend and The Music Lesson was sitting in of the sheet music bins. Buen Fortuna! I spent portions of my weekend reading the book. The story is essential a dream. 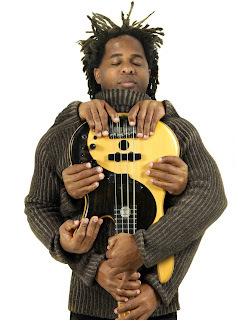 Wooten speaks from an imaginary version of himself as a young bassist living in Nashville, who is trying to improve as a musician. One rainy day, while Wooten is drowsy from practicing, a mysterious man named Michael enters his apartment. Michael is "....a strange man, unlike any other music teacher I've ever had...he appeared to be part Native American, and part...something else." Michael is full of wisdom, musical and otherwise. He is a free spirit; perhaps this is representative of how "free" we should all feel when we are playing music. Michael basically gives Victor sage advice on how to be a better musician instantly. One of the first things Michael teaches is that he has "nothing" to teach, that the student must learn for himself. As a primarily self taught jazz pianist, but also as a conservatory grad and a music teacher, this idea really hit home for me. This is a great way to approach learning: you can't understand any concept unless you literally "teach it to yourself". Even if someone "shows" it to you, the understanding has to come from you. No one can "make you" learn anything. So we are all essentially self-taught musicians. Michael has some great ideas about the "elements" of music. "Many musicians like yourself struggle because you are not familiar enough with all the elements. You rely mostly on one or two of them when you play." Michael explains how most of us spend so much time with notes. Notes include "harmony, melody, re-harmonization,scales, modes, chords, key signatures..." and so forth. Then, he discusses the other nine elements: articulation, technique, feel, dynamics, rhythm, tone, phrasing, space, and listening. Michael's assertion is that we as music students and teachers spend too much time on one element, notes, at the expense of the nine others. Indeed, there are many who can "play the notes", but I believe that those who are truly great are the ones who address the other elements well. Why would you want to watch an actor who merely "knows the words"? Another great pearl of wisdom is the notion of "practicing" music. Michael relates it to how you develop your language as a child. "Notice you did not develop your speaking technique through diligent practice, at least not the type of practice you are familiar with. Your parents didn't lock you in a room and make you work on it three hours a day, and they didn't make you take lessons. You learned to speak it through a natural process. Musicians could benefit from looking at this process." This is akin to "learning on the bandstand," as opposed to "practicing three hours a day." The young Wooten meets some other prophetic characters on his journey. Eventually, Wooten sort of "becomes" Michael, and becomes a keeper of the flame of wisdom. I think this is part of maturity as a person:when you realize that you are your own teacher, you develop the confidence to make your own way. "There are no shoulds or shouldn'ts. There are only choices. What you choose next is up to you. No one can tell you what that is. You have been shown all you need to know." I think so many of us are afraid to make the choices. This book might encourage us to leave the fear behind. I find myself talking philosophy with my students often. And many of my trumpet teachers would talk philosophy often in the lessons. Sometimes, talking was more helpful than playing. 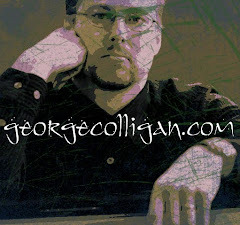 I think The Music Lesson is a revelatory philosophical wake-up call for any musician out there wanting to be inspired. Thanks for recommending this, George! This post and the last one about Ambrose have been right up my alley. The smaller aircraft had an egg-shaped fuselage, three fork-shaped vertical stabilizers, horizontal stabilizers with a significant dihedral, and 37° swept-back folding wings to allow it to fit in the confines of a bomb bay. abração muito bom seu blogger!!! In cases of heavy rains and floods, hamlets such as Bac Tien, Phuc Thanh and Tan Tien, in the commune are often isolated by water, keeping many children from studying. Thanks a lot for these lessons folks. Thanks a lot. Since the 30 June 1997 release of the first novel Harry Potter and the Philosopher's Stone , the books have gained immense popularity, critical acclaim and commercial success worldwide.The series has also had some share of criticism, including concern for the increasingly dark tone. As of June 2011, the book series has sold about 450 million copies and has been translated into 67 languages, and the last four books have consecutively set records as the fastest-selling books in history. The task force lacked both anti-tank guns and effective infantry anti-tank weapons. Aside from a limited number of HEAT shells for the unit's 105-mm howitzers, crew-served weapons capable of defeating the T-34 had not been distributed to U.S. In the fields’ silence and woods’ shade? Is he alive? And his sweet lady? And where is now their little nook? Like this strange flower in this book? We can SAVE people MONEY and MAKE people MONEY, while stuffing your pockets with RESIDUAL PROFITS at the same time! Once you know the SECRET, other opportunities will look like a child's lemonade stand! We don't have to play games, sell or convince anyone! All we do is open people's eyes!